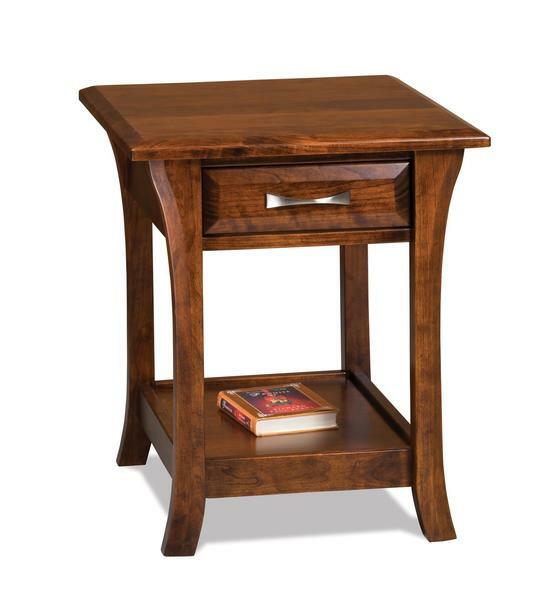 Our contemporary Amish Ensenada Open End Table with Drawer has a vintage chic profile that includes a beveled front drawer, modestly splayed legs, and open shelf. Shown in sap cherry with Asbury brown stain, this accent table can be custom made from a variety of wood types and finishes. It can also be made 5 inches wider.